1) Use the photos to write a 500-word story; both photos must be a feature in the brief story you create. We aren't counting, but for the fairness of the readers please, no 1000+ word entries. 2) The photos must be visible in your blog post. 3) Photos are the property of the hostess for the week, unless otherwise mentioned. Please do not share photos as your own. 4) In order to honour the community-purpose of the blog hop, we ask that you please reference the blog hop in your post (you can even display the Writer Wednesday Blog Hop badge if you desire) so your blog audience and the blog hop community may all be connected. 5) WHERE TO SEND YOUR STORY HAS CHANGED, JUST FOR THIS WEEK. I AM NOT ABLE TO GET THE CODE FOR THE BLUE FROGGY, SO PLEASE JUST SHOOT ME AN EMAIL TO: stantonsunshine@gmail.net WITH YOUR NAME, NAME OF YOUR BLOG, AND YOUR STORY, AND I WILL GET IT TO THE OTHER HOSTESSES NEXT WEEK. THANK YOU! If you have any questions or need any help don't hesitate to contact one of the hop hosts: Tena, Debb, or Heather (our fourth host Leanne is on a sabbatical due to health concerns and we ask that you continue to keep her in your prayers for complete recovery and return to full health). DO NOT USE THE BLUE FROGGY THIS WEEK BUT INSTEAD SEND YOUR NAME, NAME OF YOUR BLOG, AND YOUR STORY TO stantonsunshine@gmail.net. 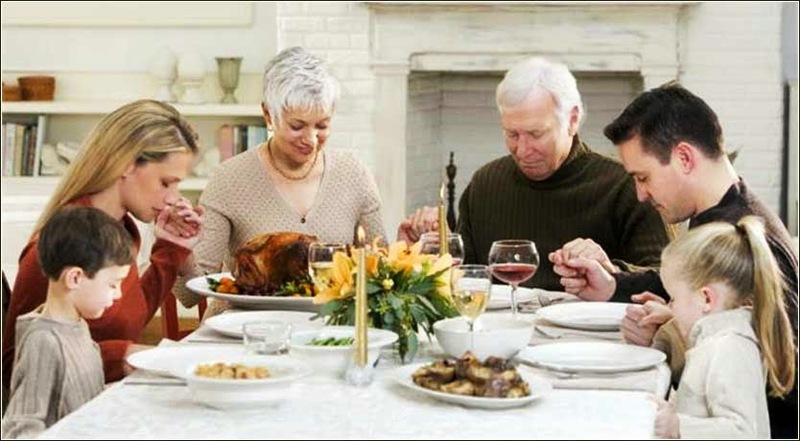 the first picture o is pretty traditional for this time of year, but your story does not have to be about the holiday of Thanksgiving. The picture on the bottom was chosen for its uniqueness (and out of my curiosity to see how you blend the themes of the two pictures). “Do you remember the time when we didn’t have family?” Mary looked at her husband of 35 years and smiled as he sighed. “In small doses,” came his stoic reply. Mary walked into the living room and retrieved the photo album from the cupboard under the stairs. She rifled through the pages until she came across the image she was looking for. Harold peered over her shoulder, squinting to bring the image in to focus. “Do put your glasses on. They’re in your pocket.” Mary was fed up with Harold refusing to acknowledge the passage of time although both their hair had turned white or silver or ‘distinguished looking’ as Harold like to describe himself. She knew he was just thankful he still had a full head of hair. Mary and Harold reminisced about that trip they had taken; it was so cold that the rungs on the steps to the water had frozen solid. It looked quite picturesque but wasn’t very conducive to taking a dip in the frozen water. Dashing back into the kitchen Mary surveyed the preparations for the roast dinner she was preparing for their family, daughter, Monica, her husband, Ray and the two adorable grandchildren, Sonny and Millie. All the female names in the family began with the letter M, a tradition Mary hoped these grandchildren would carry on. It had begun a few generations back when her great-grandmother, Maureen came over to the States with her new husband from Ireland to have a better life. Maureen and Patrick started the tradition which had carried on to this day. Harold took the turkey out of the oven for her to allow it to rest for the required period. Mary was cross that her hands were getting arthritic and painful and couldn't take a full roast out of the oven any more but there were still lots of activities that she could and did enjoy. There was Tai Chi a couple of times a week, which she dragged Harold along to, the Italian lessons they were planning to start learning in the New Year and then babysitting duties in amongst the normal day-to-day routine of living. Monica and Ray arrived amid a flurry of activity, kisses and drinks were poured while Monica went straight to the kitchen to help her mother. Ray and Harold set the table and lit the candle. Once the hot serving dishes were on the table, tantalising smells coming from each one, and they were all seated at the table, they joined hands and gave thanks for the meal they were about to eat. Great job! I loved this. I was thinking when I saw the pictures that the first one would be easy to craft a story around, but that second one is much tougher! You did it perfectly. What a great story! You captured their family beautifully. I love your family-centered stories Sally. You do it so well. And you used the prompt amazingly! I wish you every good wish for Christmas and the New Year! HI, Sally, it's hard for some people to acknowledge the passage of time and what it does to our bodies, but watching families grow is indeed something special that happens as the years go by. Nice piece that tells me how much Mary appreciates her family. Lovely story, and great prompts. The icy one is amazing! Hope you holiday was filled with love, family, and happiness! Yes, I want to know about that photo ! Lovely story and I want to know more about this family too. 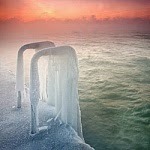 I love it and the photo of the frozen steps is cool. I love your characters they have a real depth that I would love to read more about.